Fitness trackers have exploded in popularity over the last few years. Some are very popular so as their typical functionalities. You might be surprised how far the development has gone, though. We selected some wearable devices which we found especially interesting and innovative. This entry was posted in Sportovia on February 18, 2016 by piotr. 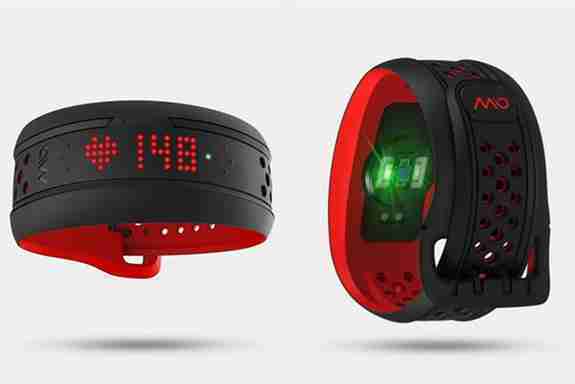 The Mio Fuse is a fitness tracker and training device from Mio Global — a company known for wrist-worn heart-rate monitors — that is very much intended for people who work out. The device includes an optical sensor to measure your heart rate during workouts and will notify you when your heart rate has reached certain “zones.” It also measures your workout’s duration, distance, pace and speed, and even when you are not working up a sweat, it tracks total daily steps and calories burned. This entry was posted in Sportovia on February 17, 2016 by piotr.